English Ideas Lip Enhance. If you have small lips, just draw a line a pinch outside your lip line. I have a full lip, so I just fill in my lips with it. Don't worry, it looks very natural. If you fill in your lips with this, it will give your lipstick color, or gloss something to adhere to. You can find the English Ideas line at Sephora. 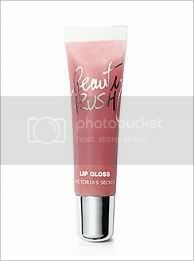 Victorias Secret Beauty Rush Gloss. Not only do these glosses taste yummy, but they smell great too. For me, I love to wear "Piece of Cake" by itself. For a summer day, I love wearing "Apricot", or "Chocolate". These are also great over lipcolors. 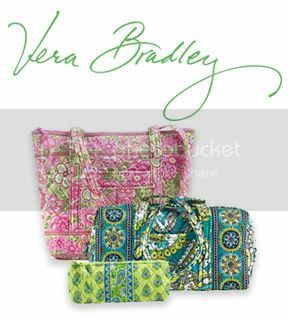 I just love Vera Bradley purses/luggage. The bags are high end purses for the "down to earth" kind of girl. After photoshoots, or about twice a month, I steam my face with tea tree oil in a pot. 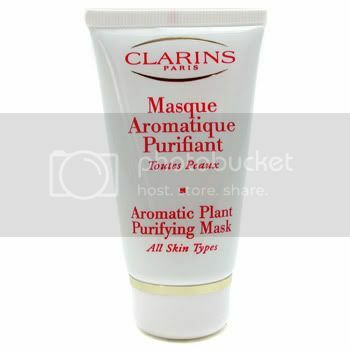 Once my pores are open, I exfoliate, and apply this Clarins purifying plant mask. This stuff works! It pulls out blackheads, and it contains plant extracts---so even the most sensitive skin would be fine to use this. It keeps my skin squeaky clean, and healthy. 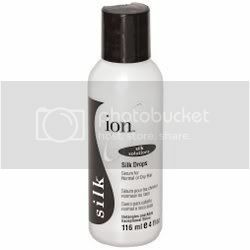 ION gloss drops. This is great on thick hair, curly hair, long hair, coarse hair, or perfect for a flat iron, or blow out. You just use a dime size of the product, at it goes a long way. It makes my hair so soft, shiny, and moisturized without a greasy feeling of course. You can find this product at Sally Beauty Supply stores. 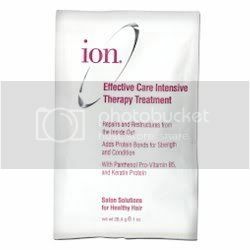 I can't say enough about the ION Effective Care Deep Conditioning mask. With all the harmful agents in the environment, it can be so harsh on your hair. I leave this on overnight. It removes all the "gook" from your hair, and helps to repair split ends, dryness, etc. I use this once a month. 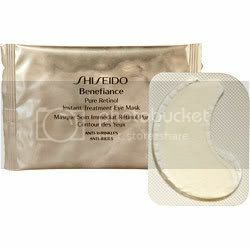 Shiseido Benefiance Eye Mask. Heck, I'm not on commission. This product is a pinch expensive, but it is amazing. They are little eye mask that you wear after cleansing your skin. Wear them for about one hour, once a week. It removes dark circles, puffiness, and leaves the delicate eye area intensley moisturized. Even the oiliest of skins can benefit from this product. You can find this product at your higher end department stores. My skin gets drier in the winter. 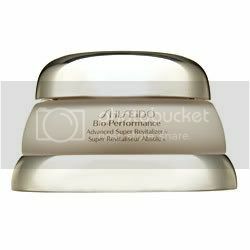 I love my Shiseido Benefiance moisturizing cream. I use it after cleansing, and under my makeup. 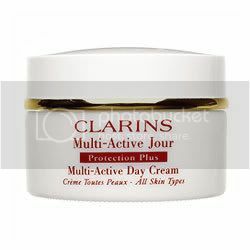 When the weather is not freezing, I love to use my Clarins Mult-Active Day Cream. You definatley should have a mosturizer specifically for cold weather, and for warm weather. Don't forget your sunblock! 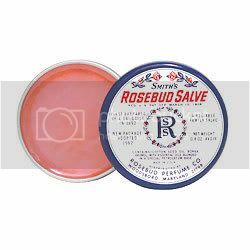 Smiths Rosebud Salve has been around since the early 1900's. There's a reason. This is an amazing salve for dry areas. Many celeb's use this as a lip moisturizer. I love it! Fekkai products are amazing. 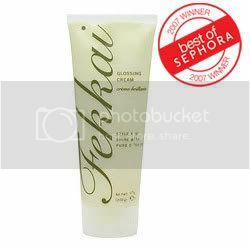 I keep this glossing cream for hair on hand in my makeup case, and also at home. Great for fly away pieces. My secret is out now. 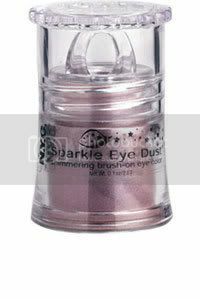 This Sparkle eyedust by N.Y.C. cosmetics, is affordable (3.99) and available at most local drugstores. 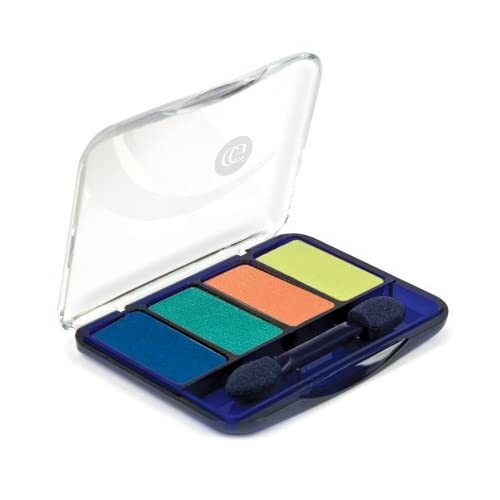 It comes in many different shades, and is a gorgeous subtle shimmer for the eyes. I wear this with two coats of mascara for a quick, clean look. 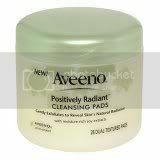 Aveeno Cleansing Pads have cucumber base, and really get's down to the nitty, gritty for my skin. 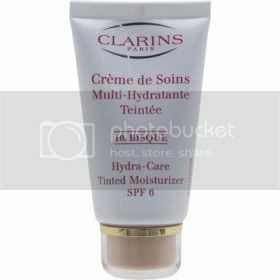 I love this Clarins Tinted Moisturizer. It's a lightweigt moisturizer, that is the same color as my skin. So, not only is it hydrating, protecting (because of the SPF), but it gives me great coverage. 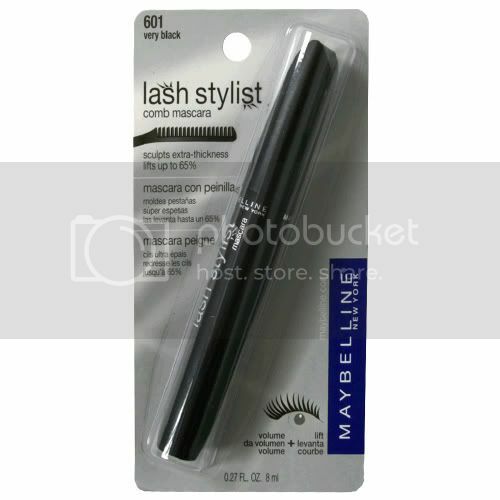 I love this mascara by Maybelline. It separates my lashes, without making them look like spider legs (ick). This affordable mascara lengthens, thickens, and gives me gorgeous natural eyelashes. Your brows frame your face. So having an impeccable brow, for me is a must. 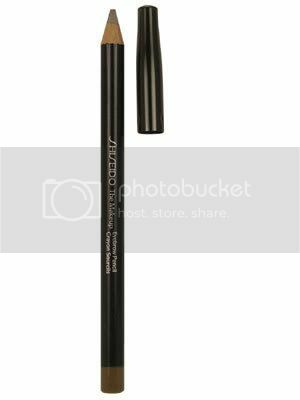 I love my Shiseido brow pencil. I use it for a more dramatic brow, or just to enhance my look. It will not rub off, and it conditions your brow . When I am not using Vaseline on my legs, I will indulge in Benefits Bathina product for the legs. It lightly fragrances your legs, while adding a gorgeous sheen. Want your eyes to reallllly pop? Apply celebrity eyebrow artist, Anastasia's, 'Brow Duality', just under the brow bone. This fabulous product enhances the arch of your brows, and gives your eyes a youthful glow! Let's give her a hand! Hands tell you a number of things about yourself. Hands tell you how you lead your life and how you take care of your body and skin. It is said that the hands tell you how old a woman is. No matter how old you are, your hands tell an observer a lot about yourself as a person. You can be dressed to the nines, but if your hands are dry, cracked, have visible hang nails, this can be your biggest fashion faux pas !!!! Hands play an important role in communication. Imagine what life would be like without your hands. It is a part of the body that you use the most, you cook with them, get dressed with them, write with them, empathize with them and shake others hands when you meet them. 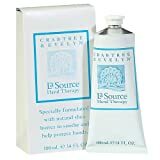 Take good care of your hands and treat them well as they are essential for your existence, and they make great accessories! It really does protect, moisturize, and promote strong nails. About once a week, I slough my hands with an exfoliant to remove dead skin cells. This is so important for brides-to-be, as you will be wearing that ring soon!!!!!! Stay tune gorgeous gals! I will be sharing great tips on how to achieve the perfect manicure at home soon! Ciao bellas! I recently was blessed to work on a shoot with the ultra amazing www.amandajulca.com Amanda is one of those rare photographers that captures the very core, and essence of you/your event. I love her work, and am so honored to know her. My fabulous bride Liz is a beautiful diamond. Such a driven, sweet, stunningly beautiful woman----Love her! Check out images from her special day! Liz wanted a glamorous, beauty look. What that called for was beautiful hues of warm mauve colors, with a touch of pink. Fabulous individual lashes topped off her look! In honor of Halloween, Liz had the fabulous idea of bringing props, and a polaroid into the mix. LOVE! Such a fun wedding! God bless your marriage Liz!!!!!!!!! 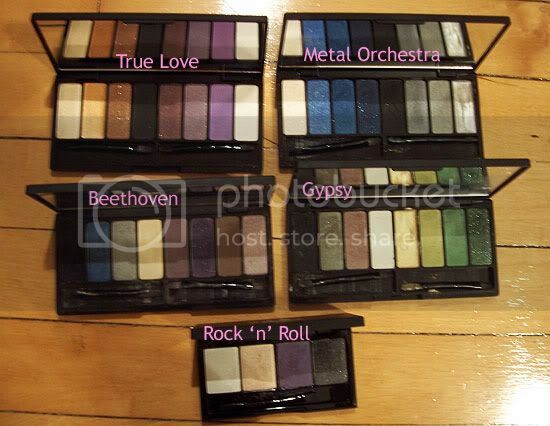 I loooooooooooooooooooooooooove eyeshadows, and literally could spend all day scouring stores for fabulous shades! 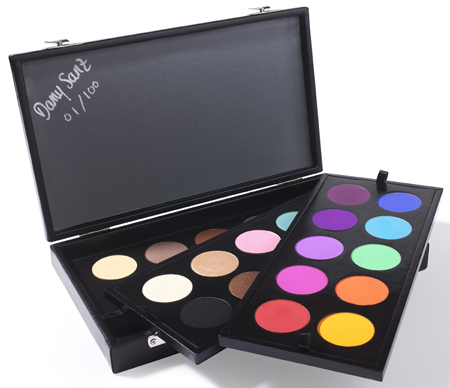 I have included some of the best palettes on the market for you all! This puppy above is found at: www.coastalscents.com The shadows are about the size of a dime, and can be applied wet, or dry. $24.99!!!!!!!!! The fabulous tattoo artist Kat Von D has her own line of make-up now. LOVE. You can find all of her collection at my favorite place, Sephora. $48.00 per palette. This little hot number is called a eyeshadow quad. The colors are so electric, my mouth is watering! Cover Girl Dolls! $4.99!!!!!! Love me some Trish dahhhhhlings. How brilliant it is that she actually formulates her products to fit in a planner! Each page is customized with your own color. Now is that fabulous, or what????? Can you tell me what are some of your favorite palette finds? Are you looking for a fabulous venue to host your reception, or special event? A place that has everything you need on site? How about a delish place to spend the night? Look no further.. The Blackwell Hotel. I had the pleasure of meeting, and working with The Blackwell's wedding coordinator Blaire Blechinger. AMAZING! Not only is Blaire delightful, and sweet, she knows her stuff! She is passionate about weddings, her clients, and is completely dedicated in making her clients feel wonderful. Whether your guest list reaches 50 people or 250 people, The Blackwell has the perfect place for you. The Blackwell sets a new standard in romantic elegance. Offering the best and most complete wedding services by creating unique personal events, from your bridal shower to your first year anniversary celebration, their wedding coordinators combine the finest linens, center pieces and cuisine for the perfect event.